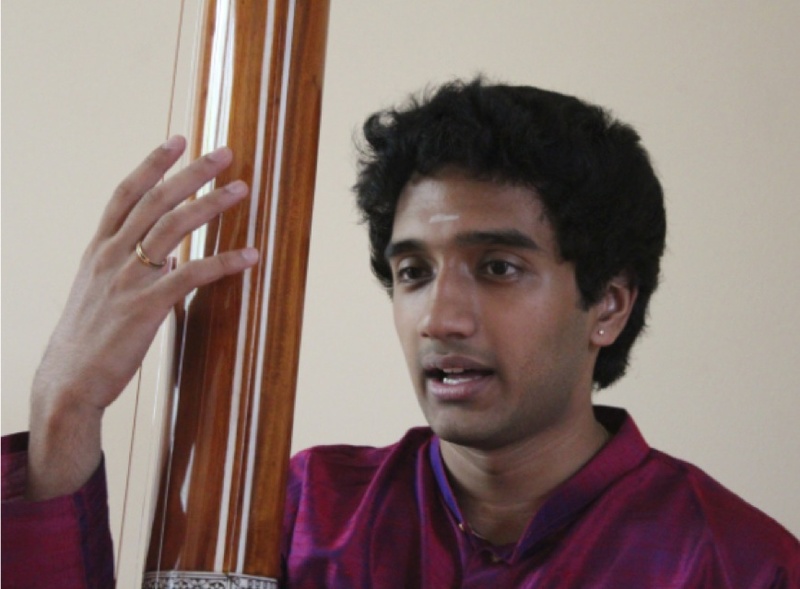 Hariharan Ravi, an upcoming Carnatic vocalist from the USA, is a student of Palai Sri C.K. Ramachandran, a prime disciple of legendary Dr. Semmangudi Srinivasa Iyer. He is known for his strict adherence to tradition and classicism. His initial guru was Smt. Poorna Sethuraman of Chicago and subsequently he learnt from Sri B.U.Ganesh Prasad. Hariharan is the title winner of both Jaya TV Carnatic Music Idol USA 2012 and the Cleveland Aradhana's Concert Competition 2012, two of the most prestigious competitions in the USA. He has had the good fortune of being accompanied and appreciated by senior musicians. He has performed in many popular venues and festivals in India, such as Jaya TV Margazhi Mahotsavam, Narada Gana Sabha, Ramjhi’s Issai Mazhalai, Bharatiya Vidya Bhavan, and Vani Mahal, as well as across the US and Europe. Currently, he is an undergraduate studying business at the University Of Pennsylvania Wharton School Of Business.